UPDATE: Christians are counteracting this dark spiritual practice with the power of prayer! Check it out. 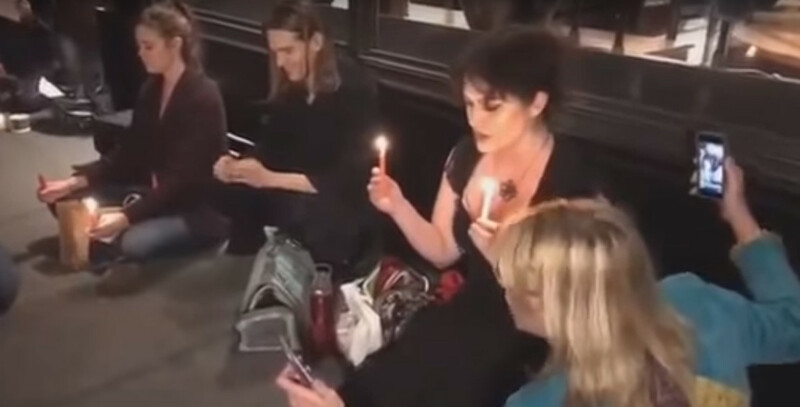 An urgent call to prayer has been issued after it has been revealed that thousands of witches have gathered together to cast spells on US President Donald Trump. This dark spiritual practice will form part of the summer solstice ritual, according to Charisma. "My thought from the beginning was that Trump's presidency was surreal and abnormal; therefore, there was a need to counter him and resist his administration beyond the normal channels like public protests, petitions, emails and calls to representatives," Michel M. Hughes, one of the witches tells Vox. The #MagicResistance has grown in strength over time. "One very powerful element of the spell is its ability to allow participants to take back their power from the out-of-control administration," Hughes says. "Whether or not this call for spells pans out and people act on it, we feel compelled, as the body of Christ and intercessors, to come against this evil with immediate and powerful prayer," the IFA reports. Pray that the Lord would cover the President and his family with His mighty protection! Watch the Witches casting spells on Trump below.